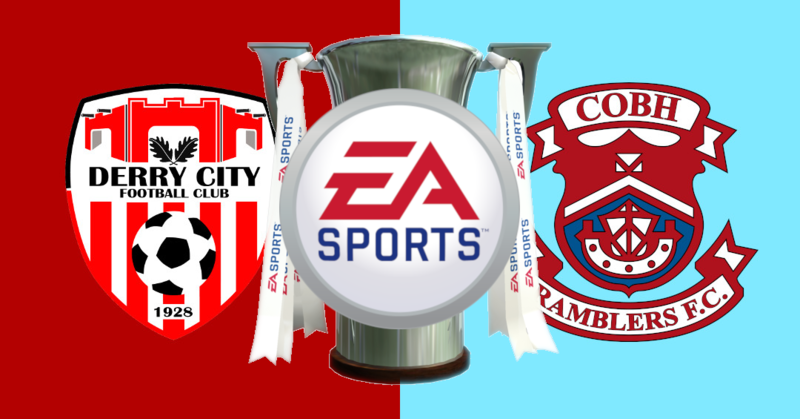 The Brandywell looks to be heading for a sell out for Sunday’s EA SPORTS Cup Final v Cobh Ramblers. With the redeveloped venue hosting its first final, City fans are ensuring they will be there to see if Kenny Shiels and his side can lift the trophy for the eleventh time. Club office is sold out of Mark Farren Stand and very limited Adult and Concessionary Southend Stand. U-16s Tickets are now extremely limited – when these are sold out, there will be no further allocation. These are available from the club office only, open 10-1 Saturday. Club ticket outlets continue to report strong sales on remaining stocks.